In sharp bend in the valley of Arlanza, in a labyrinth landscape in which the high rocks mingle harmoniously with dense forests of juniper and oak zone, the ruins of the Benedictine Monastery of San Pedro de Arlanza emerge, considered as "Cradle of Castilla". 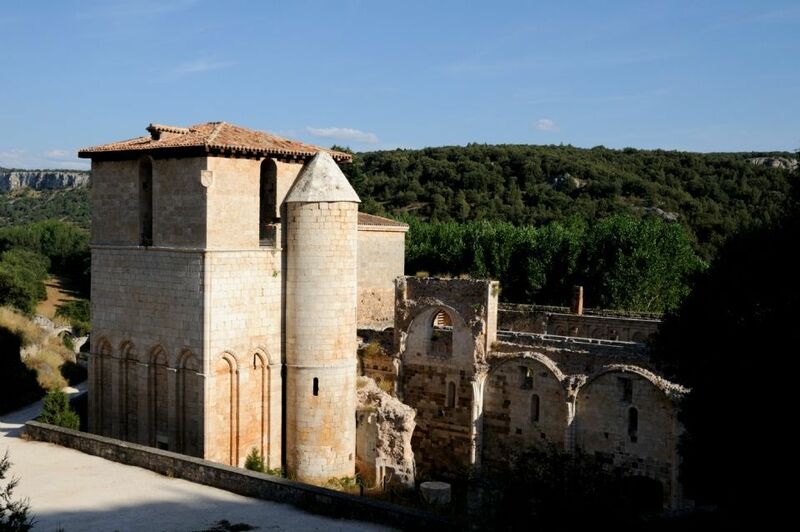 Founded in the 10th century, this was the most influential monastery of Fernán González’ Castilla. Besides visiting the ruins, it is worthy to walk up to the hermitage of San Pelayo to enjoy views of the monastery and the Arlanza river. Here you have a link to get to the Monastery from Contreras.